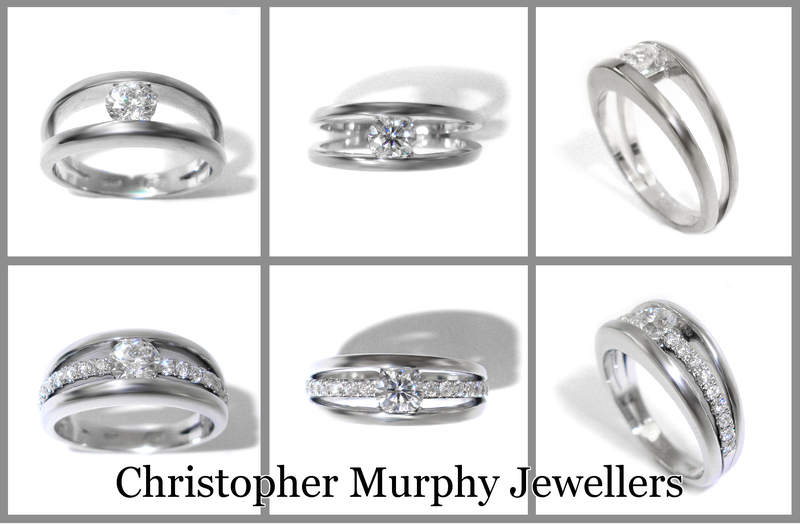 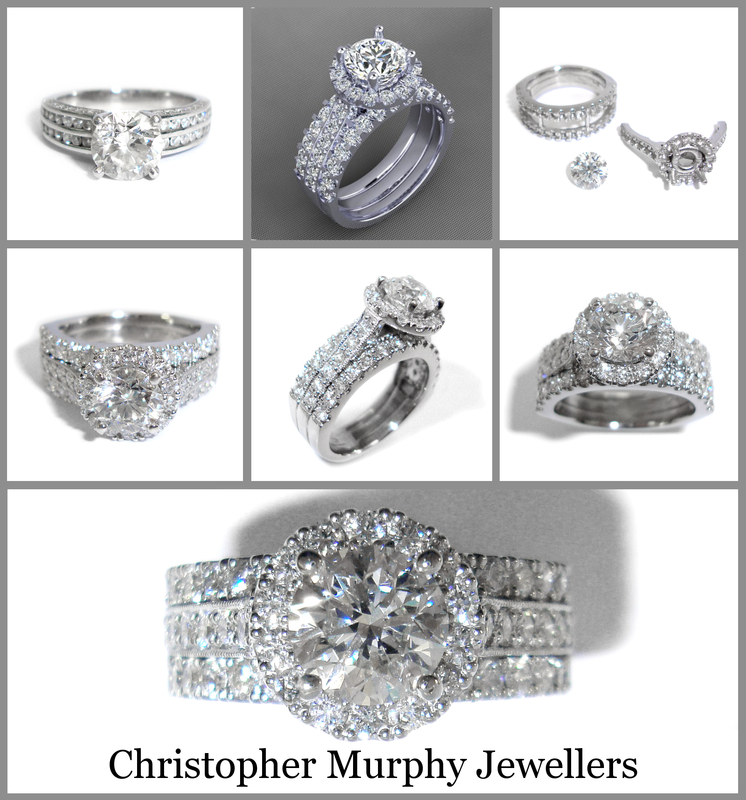 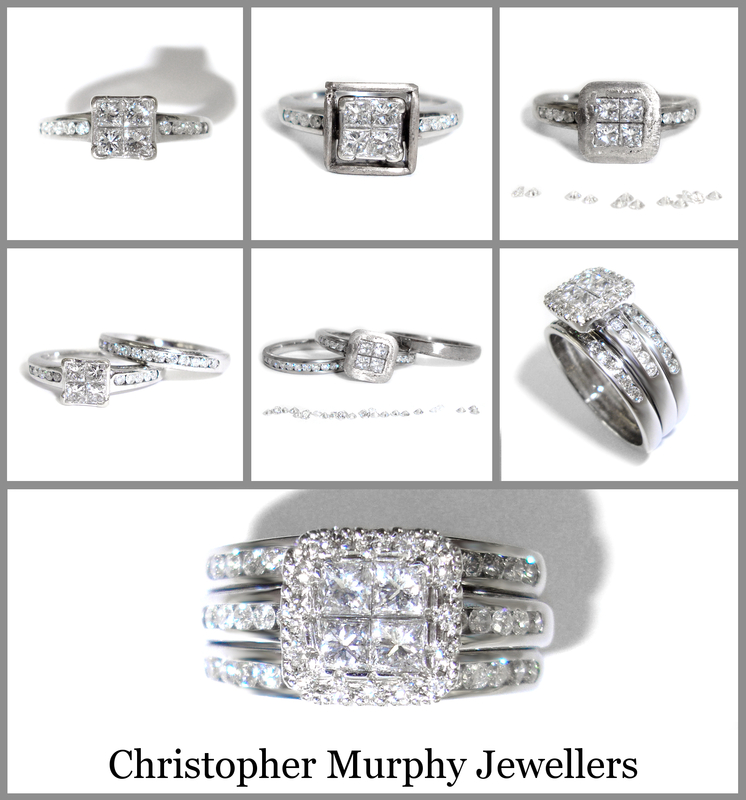 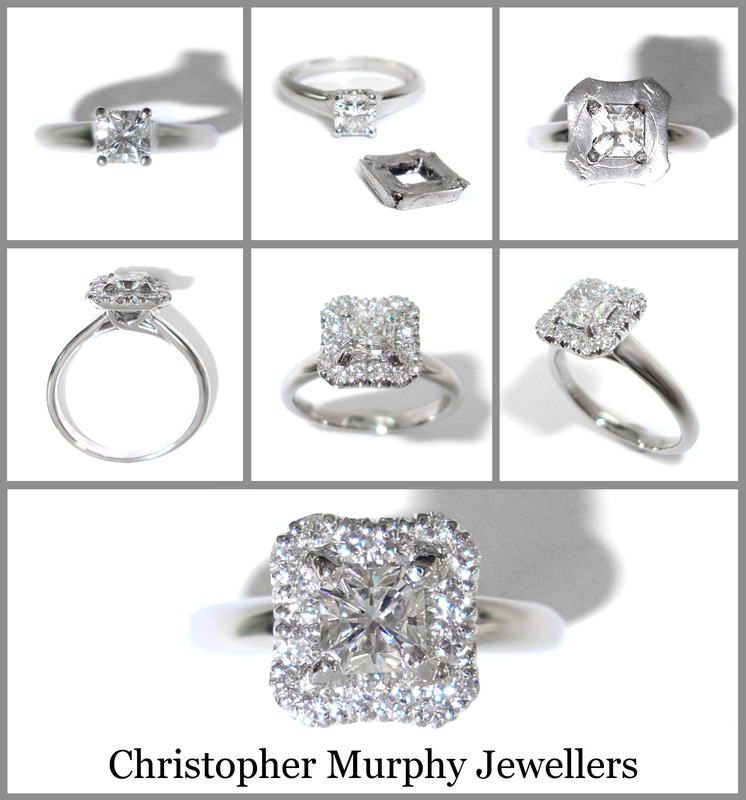 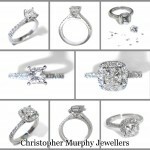 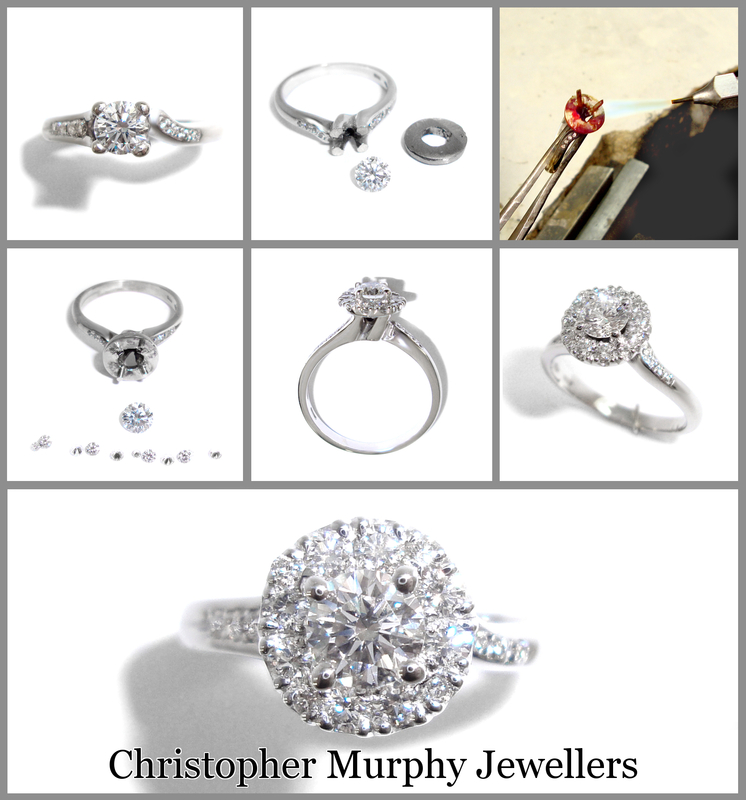 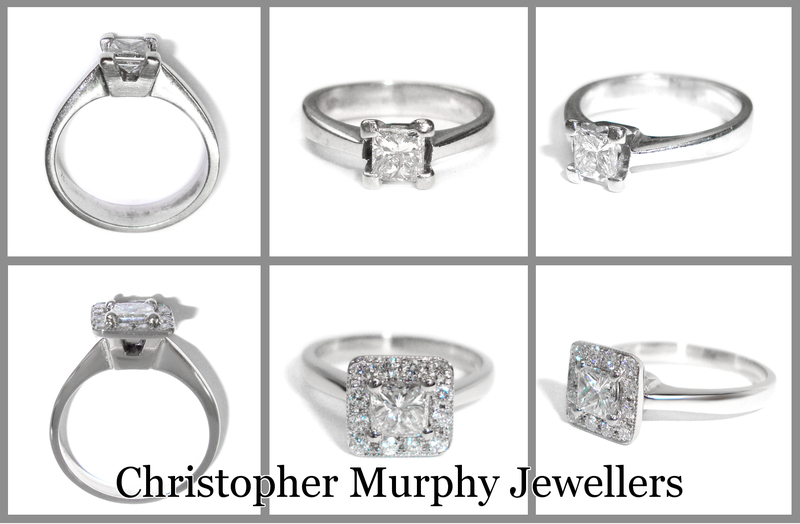 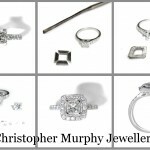 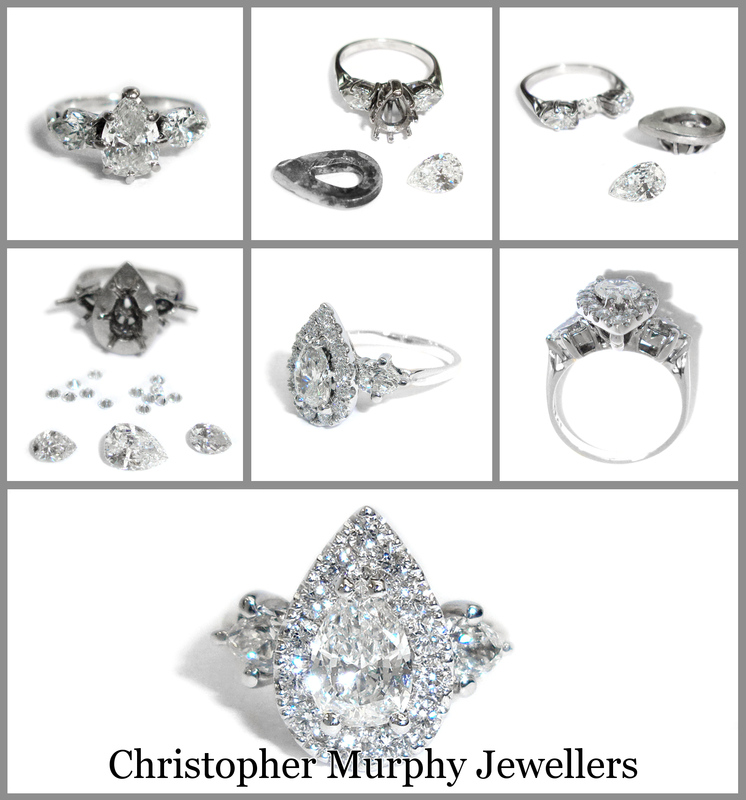 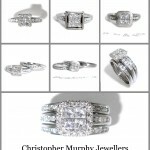 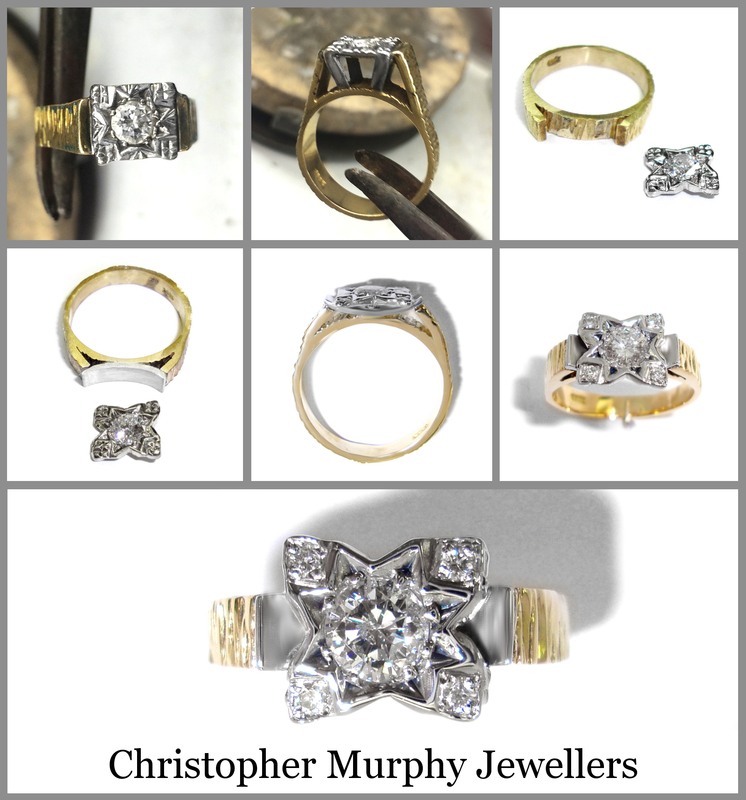 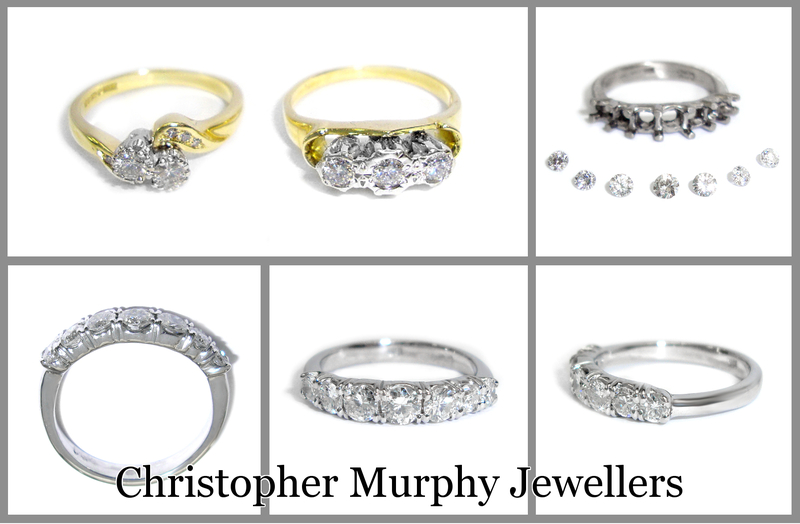 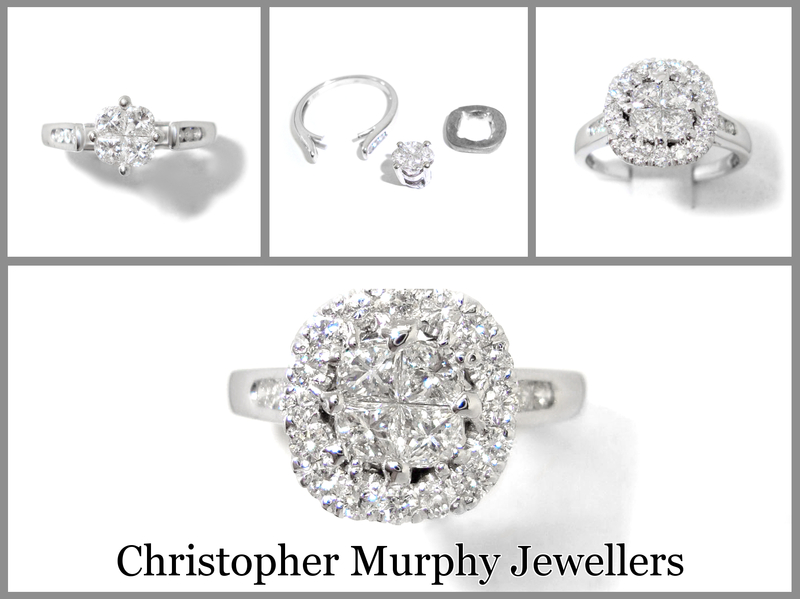 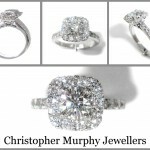 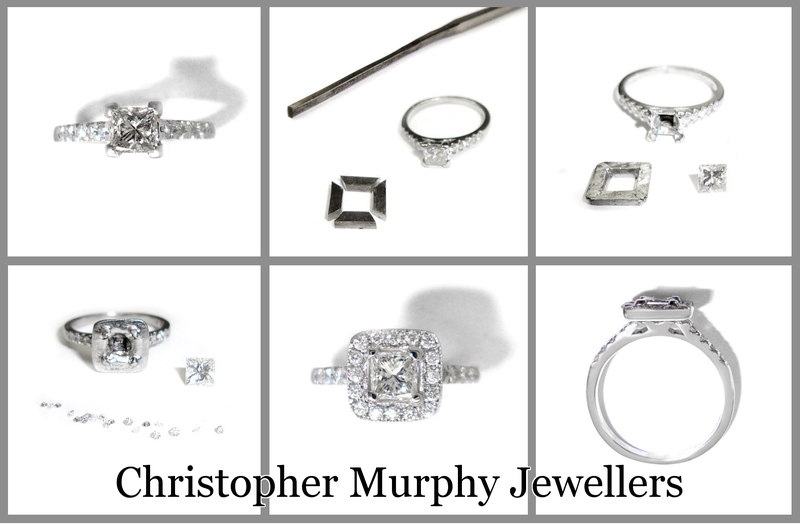 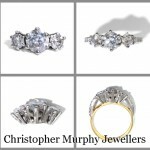 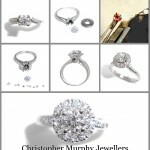 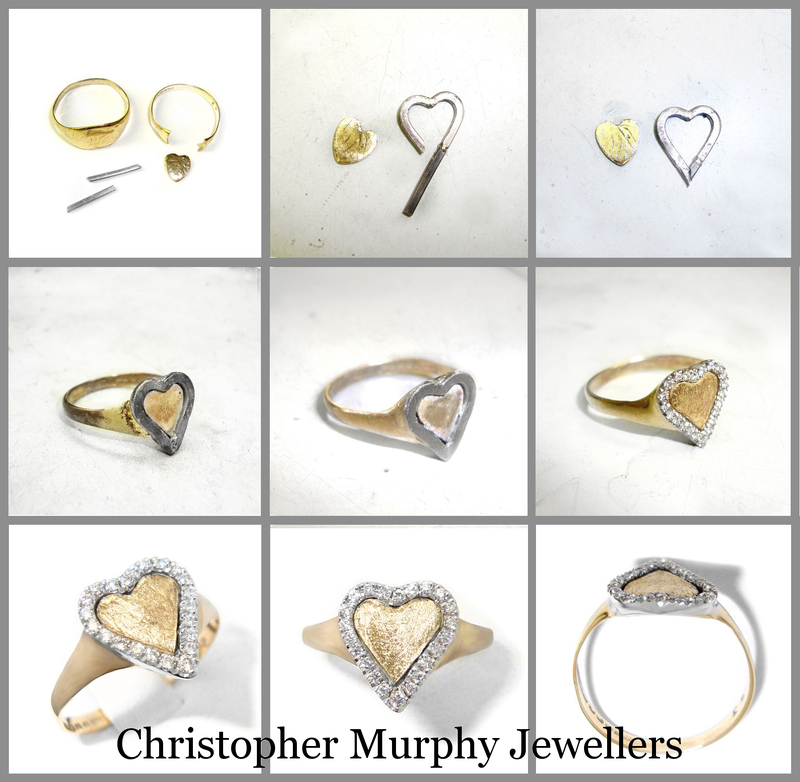 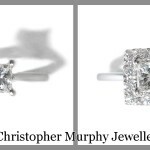 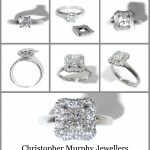 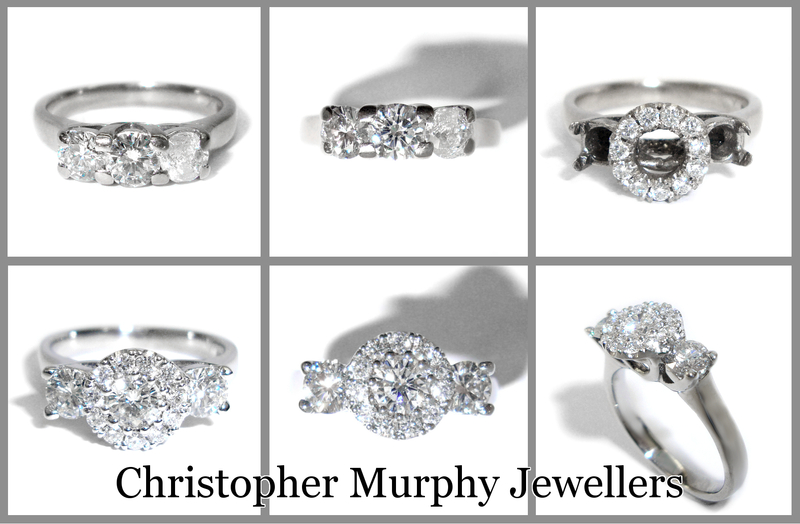 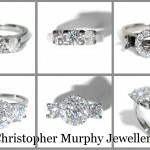 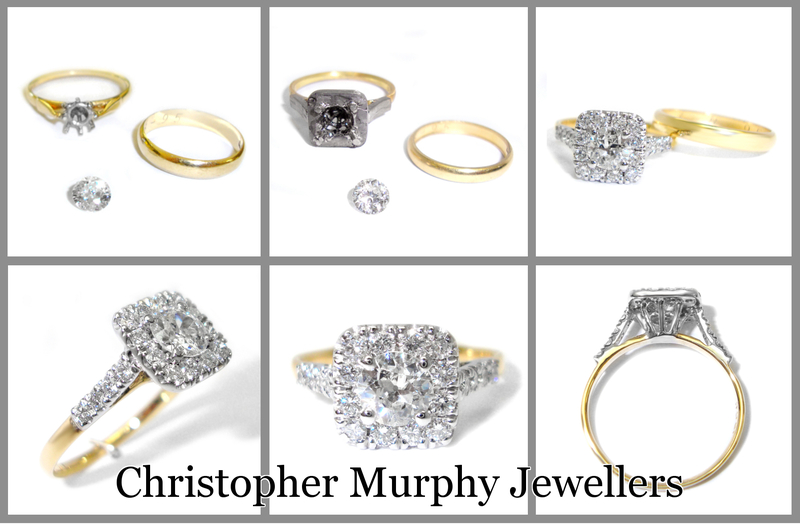 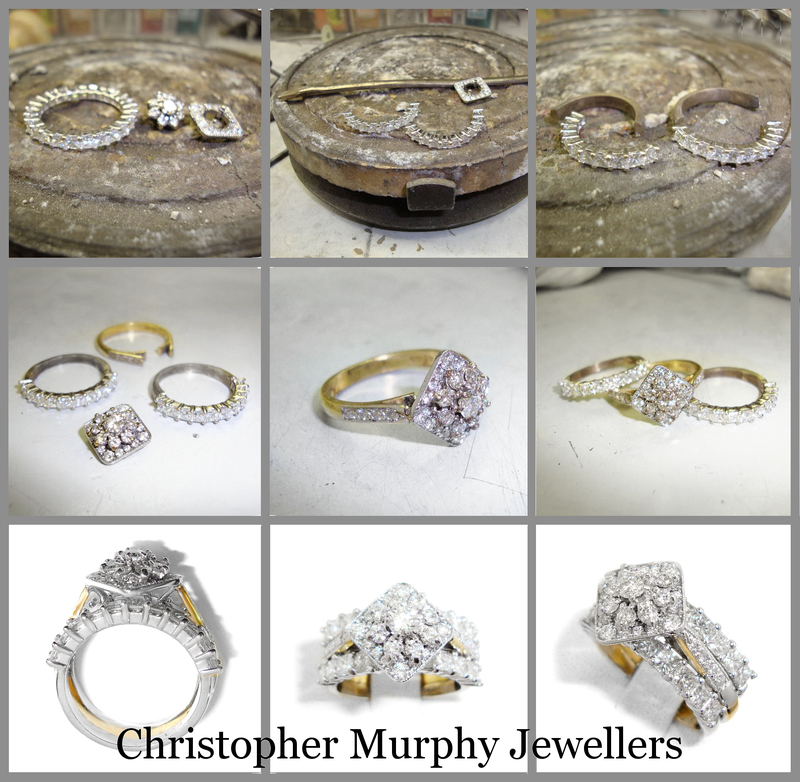 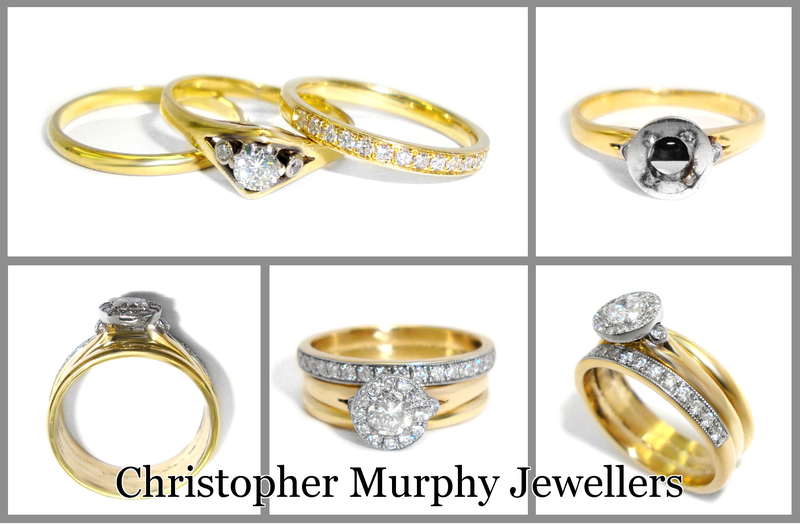 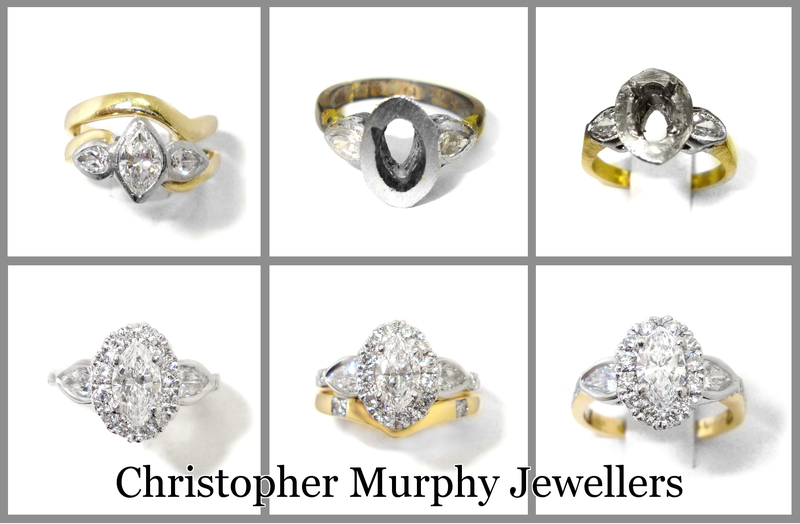 With our full instore workshop and Christophers extensive skills, we can revamp your engagement ring to make it perfect for you. 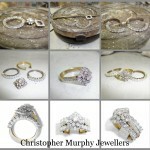 Weather it is just a small change or a full redesign we have the dexterity & ideas to get it just right. 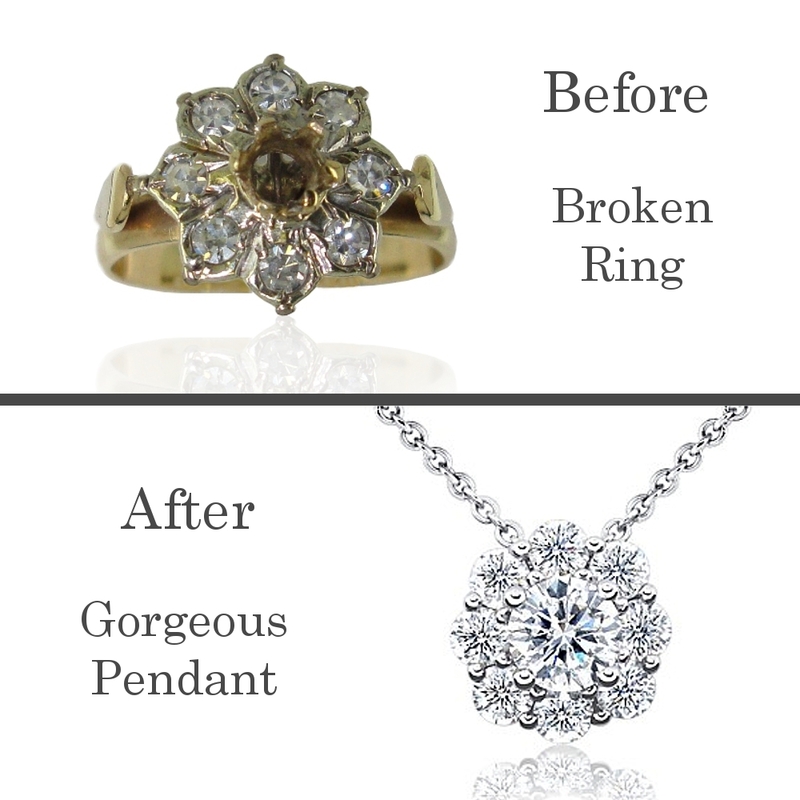 This option is very simple. 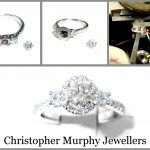 Usually with a little alteration to the head, we can securely set a new bigger stone. 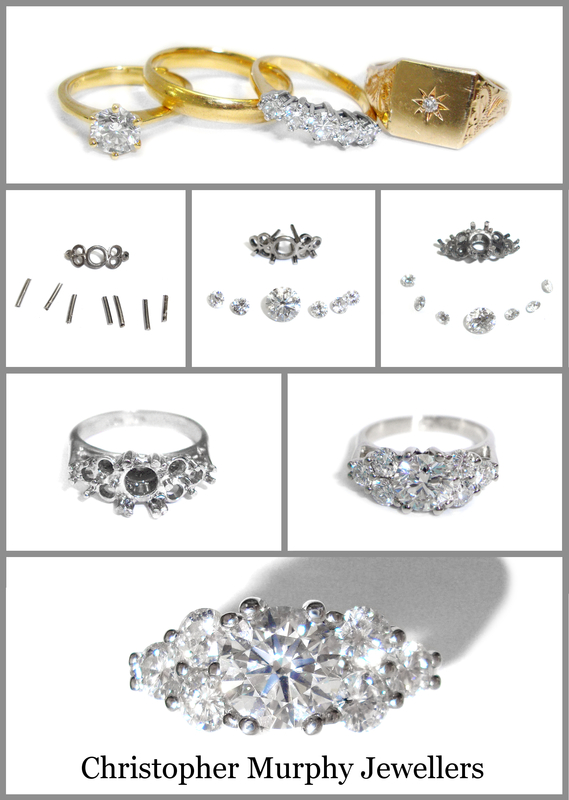 and try on in your semi set ring before you choose your perfect diamond. 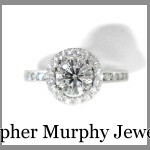 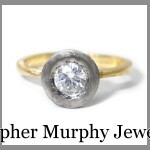 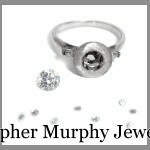 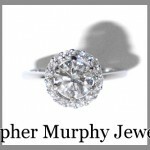 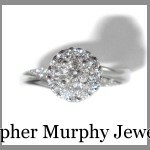 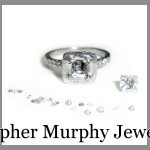 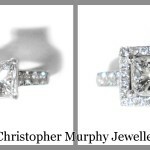 This is a nice effect to add to your engagement ring and can take the heavy look off a ring with wide plain shoulders. 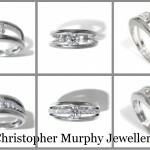 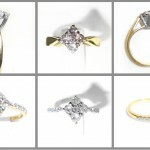 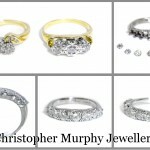 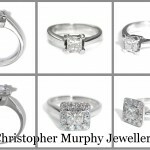 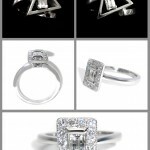 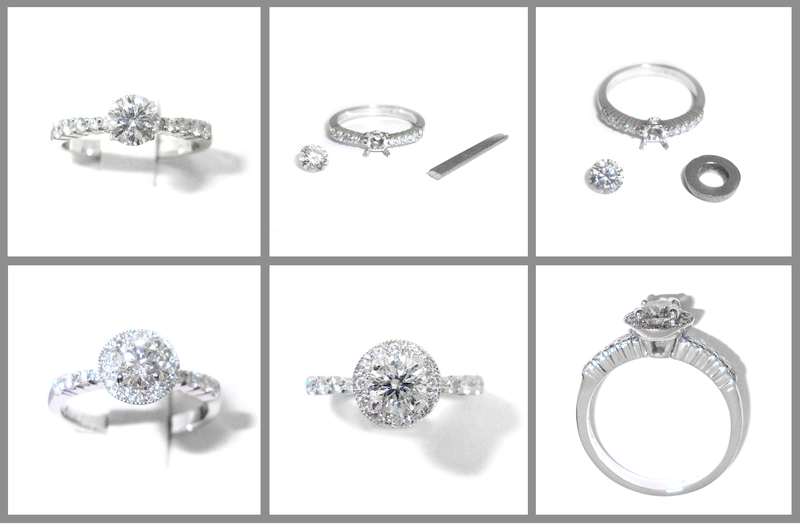 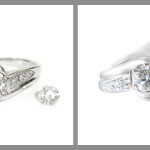 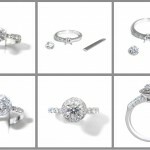 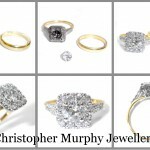 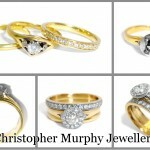 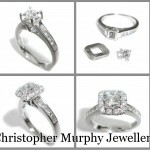 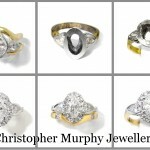 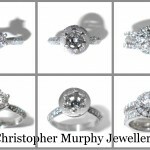 The end result gives a nice sparkle to a plain solitaire or three stone engagement ring. 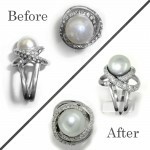 This effect is probably the most dramatic and gives the best return for sparkle out of all the remodeling ideas we use. 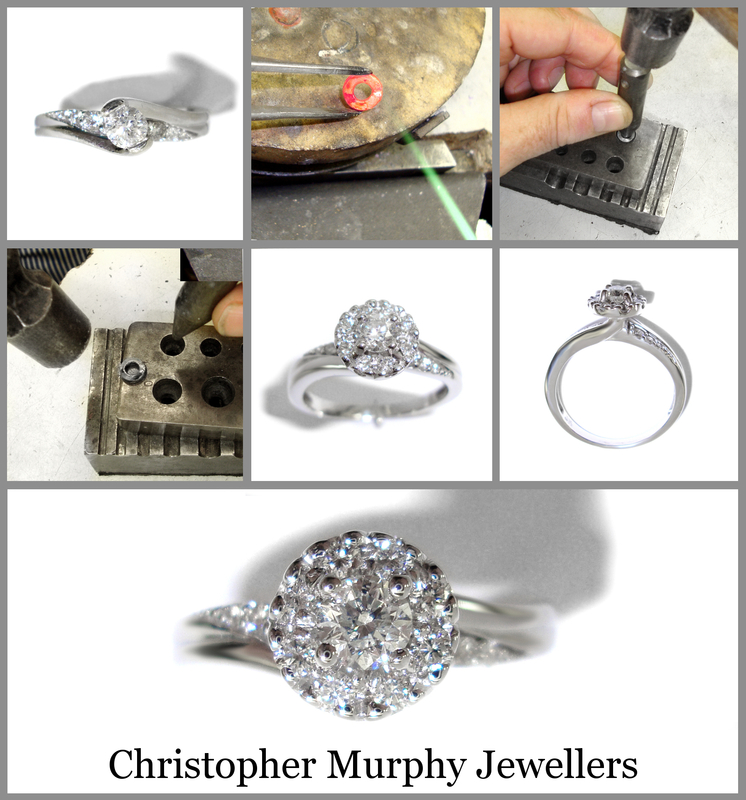 It increases the look of the size of your centre stone in one go and can also be done to clusters and three stone engagement rings. 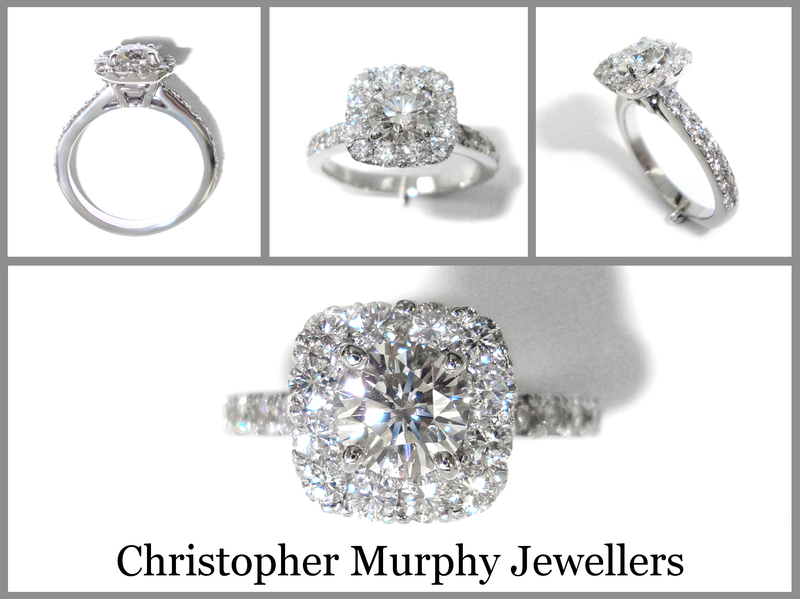 Whatever shape stone you have, we can surround it with diamonds and… Wow Up Your Engagement Ring! 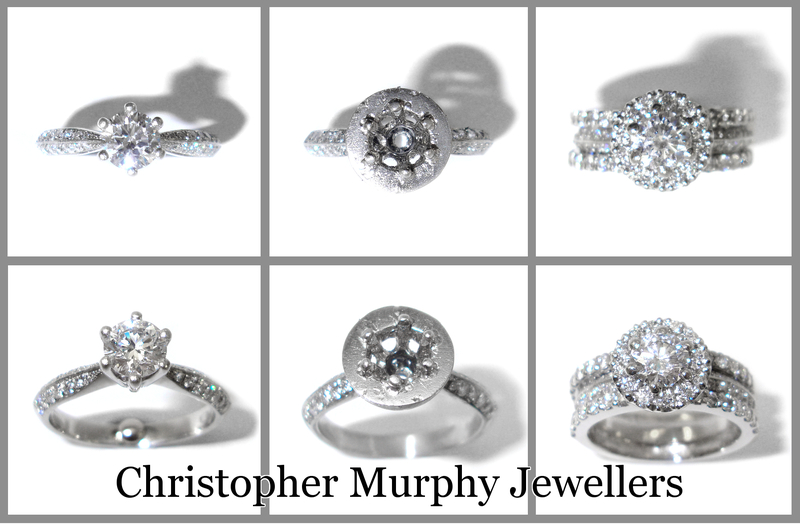 Sometimes the setting on a ring is either too high and impracticable or too low and doesn’t stand out at all. 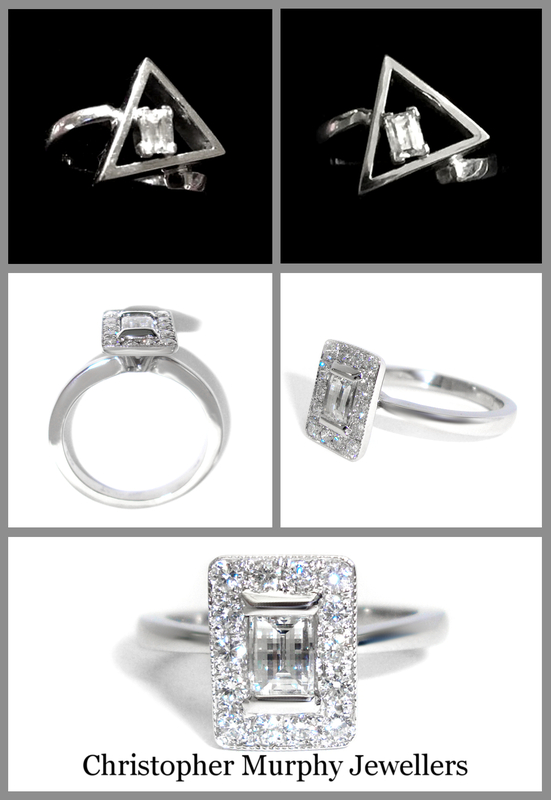 Or if you just don’t like the setting style of your ring, we can change it. 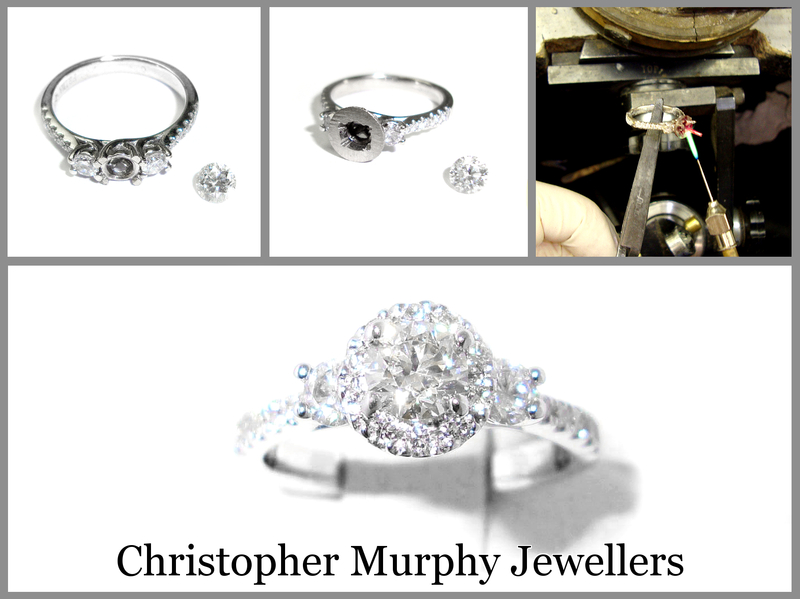 With slight alterations, your ring can be made more functional and look more modern. 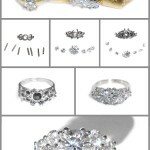 Twists can be taken out or added into your ring. 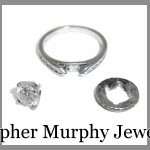 We can also widen old bands or thin out bands that are just too wide and heavy. 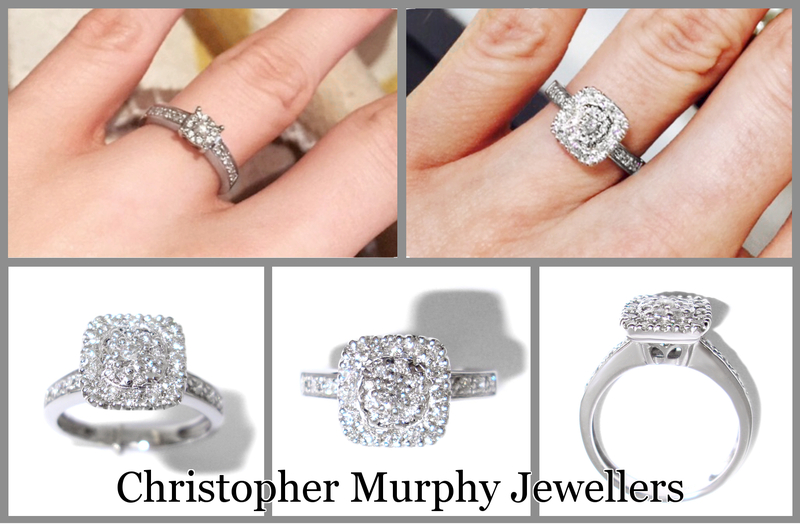 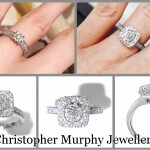 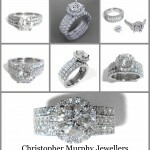 Adding diamonds to your new style of band can give it a whole new lease of life. 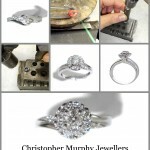 This option as available if you don’t like or have got tired of the shape of your stone. 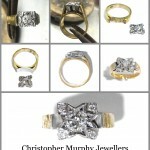 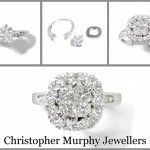 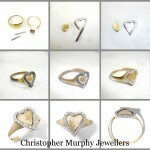 we can make it into a another piece of jewellery keeping all your sentimental value. 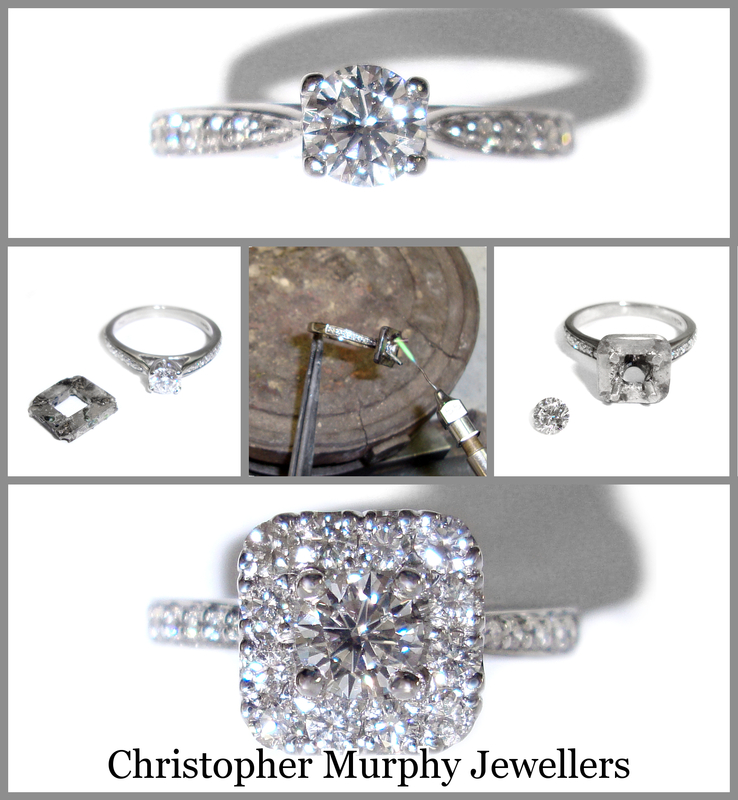 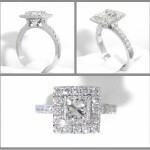 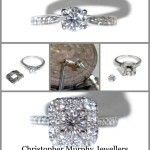 Adding side stones can enhance any solitaire engagement ring. 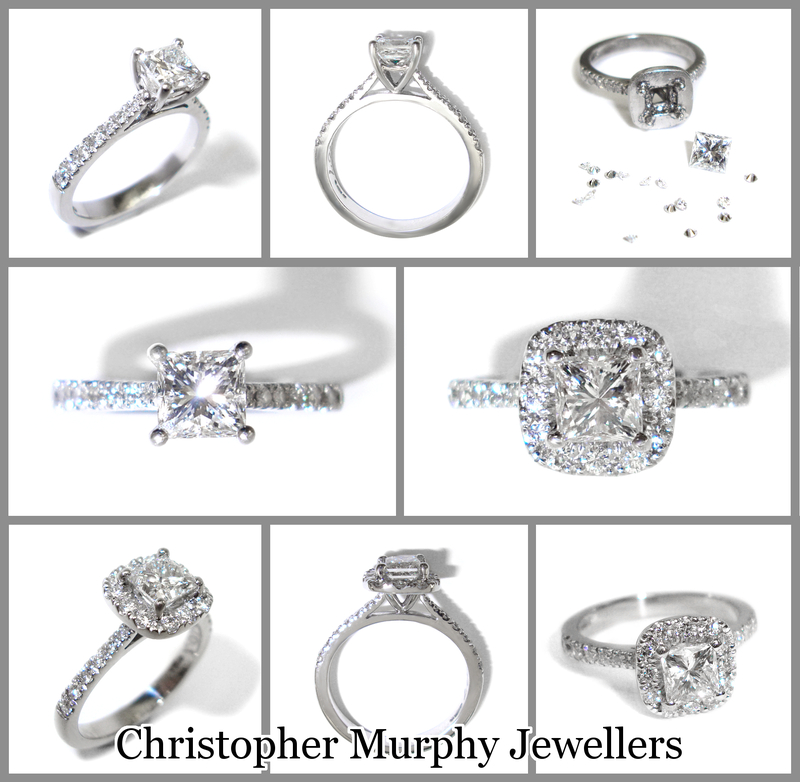 the options are endless but the results are always great. 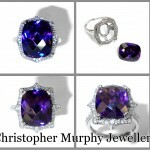 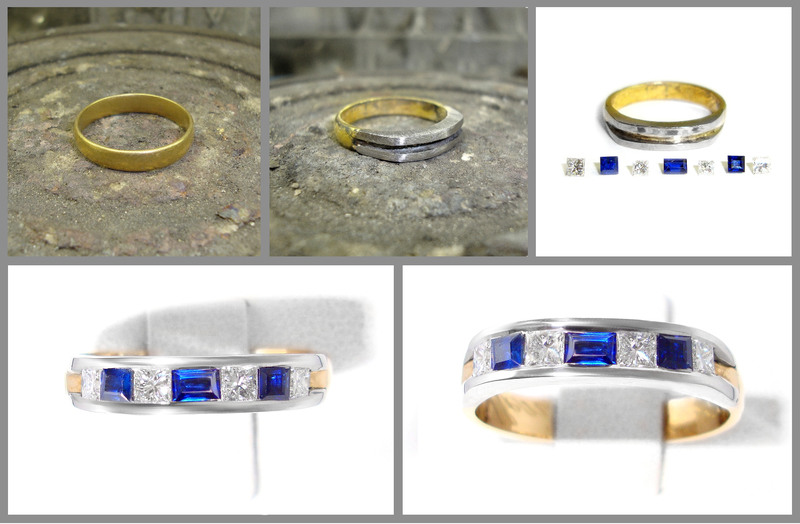 Using your metal from your ring, we can remelt it to change the colour. 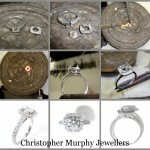 We can remake your ring in a metal that suits you best. 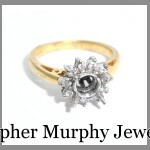 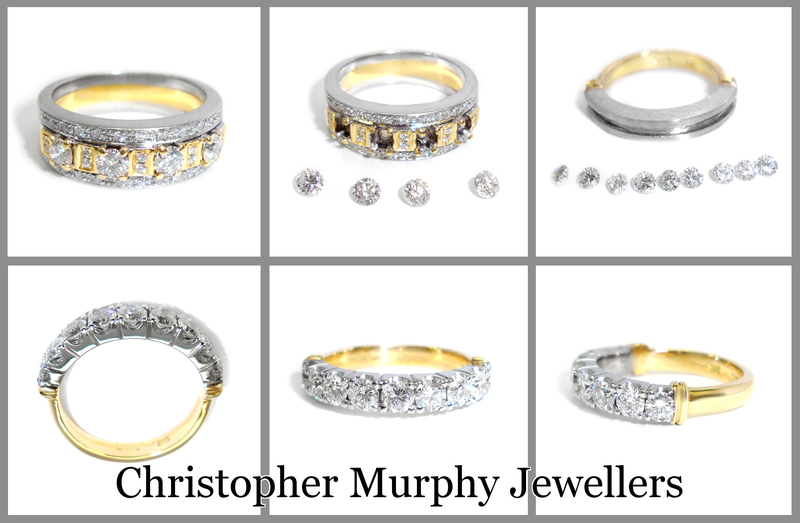 We also have the option to upgrade your ring from 9ct gold to 18ct gold. 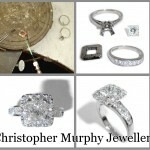 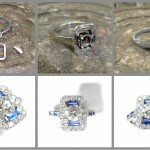 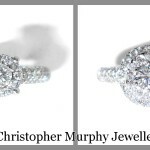 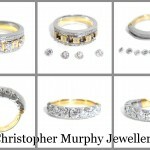 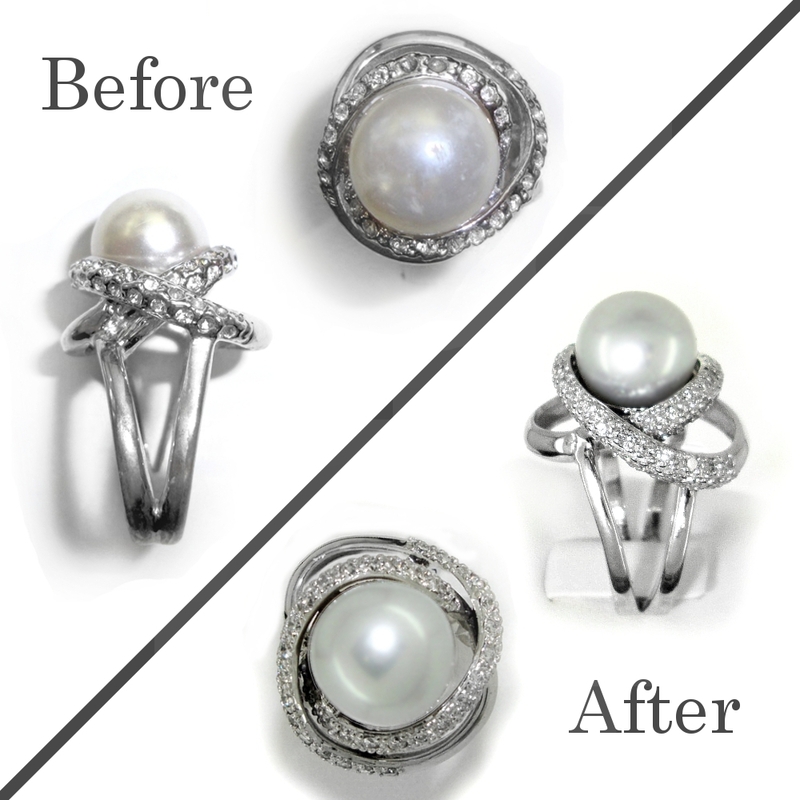 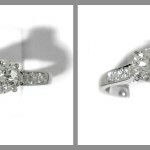 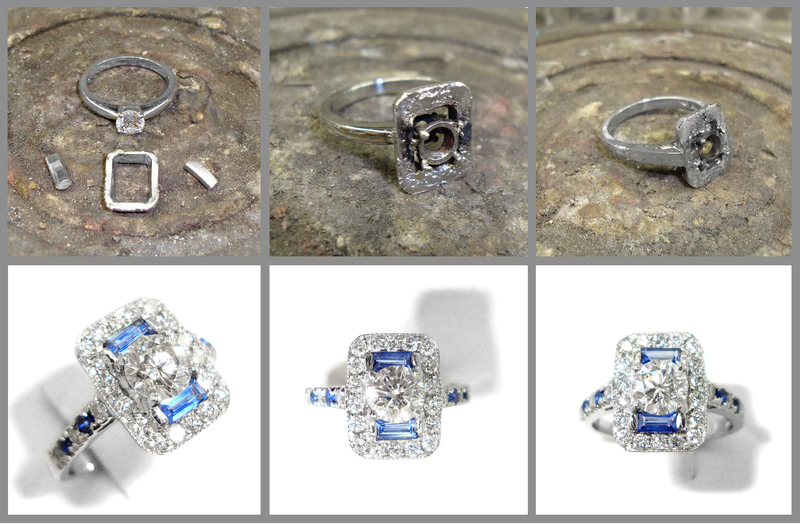 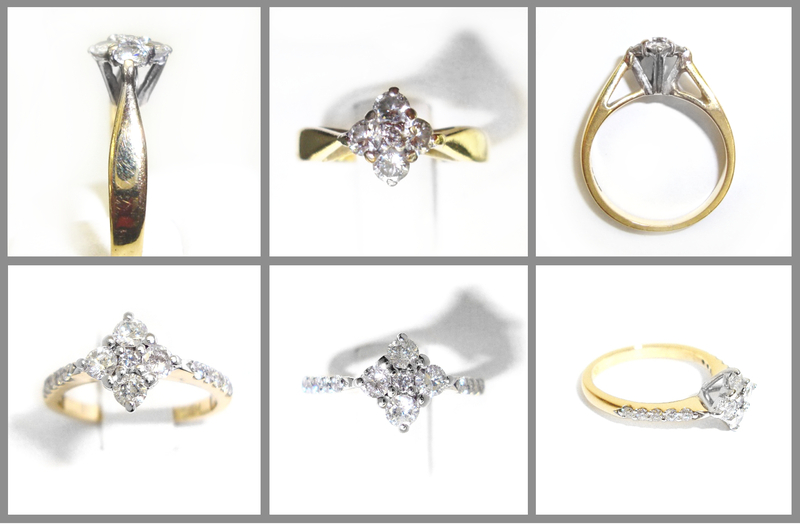 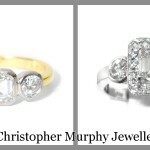 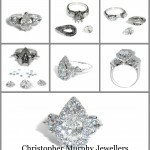 We can fully restore and change as much or as little of your ring as you like. 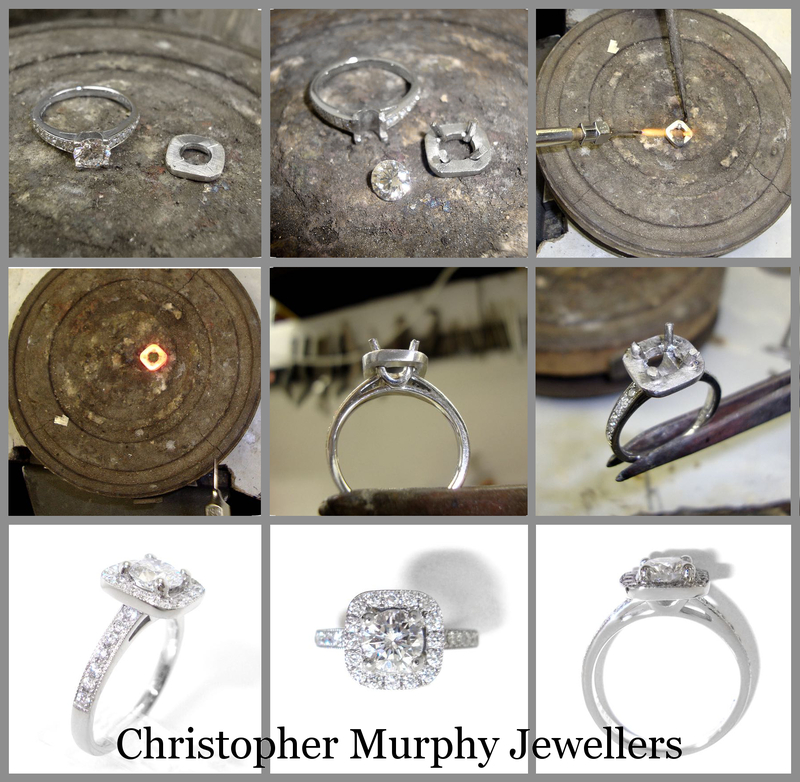 The band was straightened and rebuilt and diamonds were set around the centre stone. 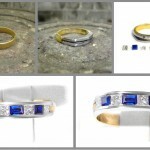 The wedding band was also altered to fit with the new layout. 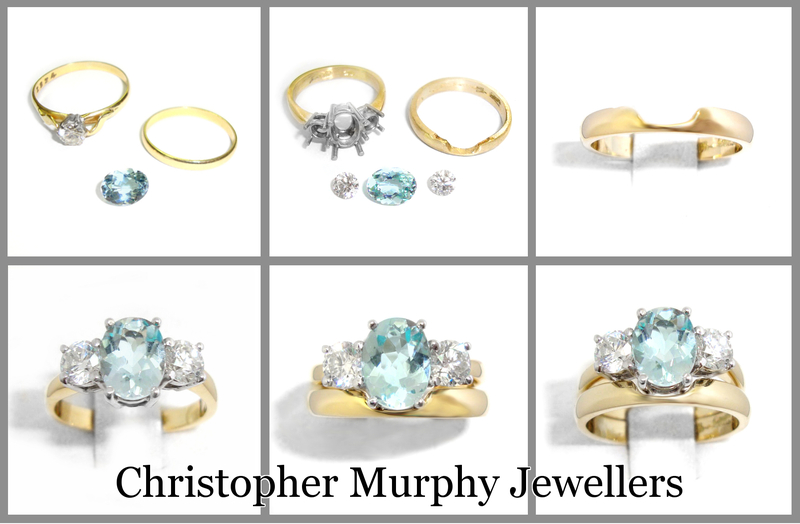 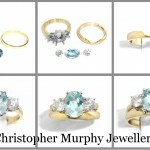 A new white gold head was made and set with an aquamarine stone, a new diamond and the original diamond. 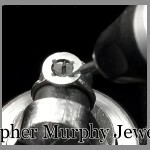 There was also a recess cut into the wedding band to fit beside the new ring.